Don't you just love cards like the one to the left? This card has everything! A great image, layers, textures, wonderful colors, it is just an amazing card. Once in a while I have enough time to do a card like this, but most of the time I don't. Even though there isn't always enough time to sit down and create something that has all the things that this card has, I am learning that you can also be very simple with your card making and still get that wow factor we all love to achieve in our work. Tonight we are going to look at some simple but absolutely gorgeous cards. These are they types of cards that you can put together quickly and elegantly, especially when you need to come up with a card on short notice. 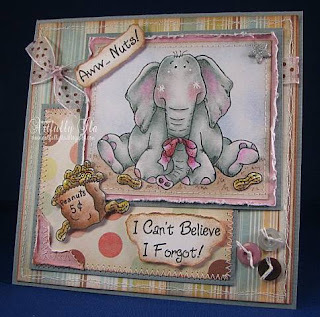 Here is what I am talking about, a cute card, well put together, but, as you can see, without much work involved. What makes this card work? 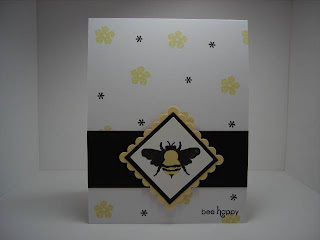 Great use of color: the cardmaker used three colors that go together very well: black, yellow and white. She also repeated these colors in her design. Images: She used simple images which she stamped to create a background, and then kept her design simple, but effective, with the main focal point (center image). 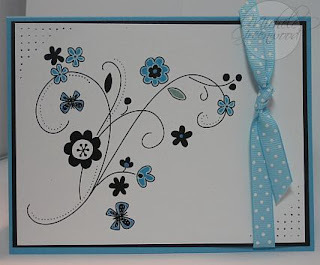 All of the cards above use minimal layers, colors and embellishments, but they are great cards! Study cards you like, save copies of them so that you can case them and make your own simple but elegant cards. 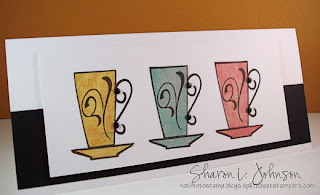 No Time To Stamp: The coffee mug card featured above came from this great site, make sure to bookmark her site for oodles of ideas on quick and elegant cards. 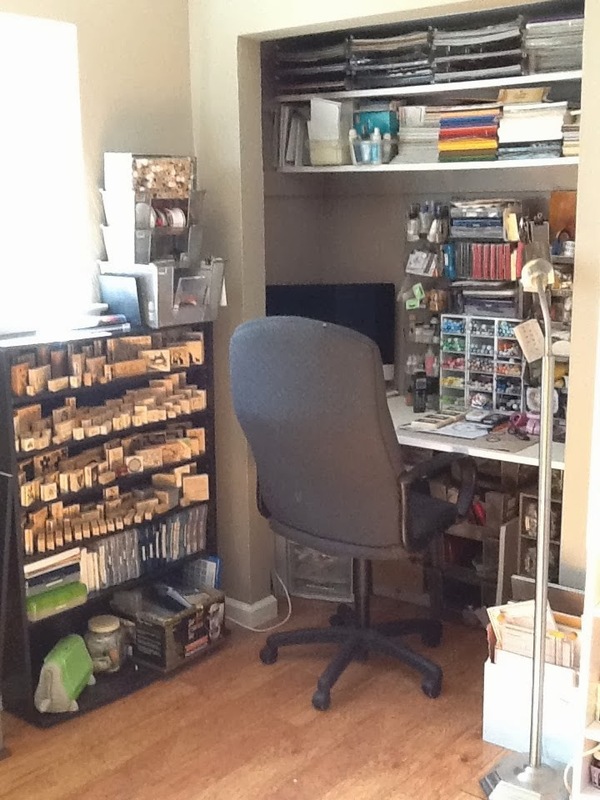 The link I gave you is to all of her "Stamp Simply" posts, here is the link to her full blog. 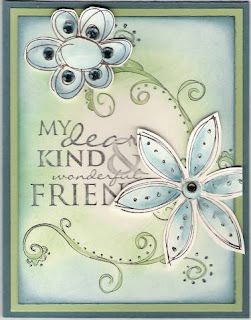 Sunny Stampin: She has a "Stamp Simply Saturday" on her blog, as well as a great overall blog that you can view by clicking here. Do you have some quick and easy tips to share with us? Please post your ideas and tips in the comments. all gorgeous cards! esp love the aww nuts card - just got that stamp set myself!